بني في 2003, Sleep Express Motel هو ميزة مُضافة لـ سيدني و خيار ذكي للمسافرين. يمكن من هنا للضيوف الاستمتاع بسهولة الوصول إلى كل ما تقدمه هذه المدينة النابضة بالحياة. إن سهولة الوصول من الفندق إلى المعالم السياحية الشهيرة الكثيرة في المدينة كمثل Primary Health Care Medical & Dental Centre, Bankstown Shopping Centre, Sydney Miniatures and Dolls House Fair هو استثنائي بحد ذاته. استمتع بالخدمات الراقية والضيافة التي لا مثيل لها بهذا الفندق في سيدني. يقدم الفندق فرصة للاستمتاع بشريحة واسعة من الخدمات بما فيها: مرافق مخصصة لذوي الاحتياجات الخاصة, تسجيل وصول/خروج سريع, تخزين الأمتعة, واي فاي في المناطق العامة, صف السيارات . ادخل إلى واحدة من الغرف 88 وتخلص من عناء نهار طويل بمساعدة مجموعة كبيرة من الخدمات كمثل غرف لغير المدخنين, مكيف هواء, تدفئة, مكتب, ساعة منبه الموجودة في بعض الغرف. سواء كنت من محبي الرياضة أو كنت تتطلع لتفريغ عناء نهار صعب، ستجد خدمات ذات مستوى عالي بانتظارك كمثل مسار جولف - ضمن 3 كم, حديقة. يحظى فندق Sleep Express Motel بموقع ممتاز وخدمات يصعب منافستها. يرجى العلم أن خدمة الانتقال بالحافلة من/إلى الفعاليات متاحة. تطبق الشروط. Happy with the Motel, not happy that they were overbooked and Agoda still allowed me to book a room. The lady who works at the Motel, (she is normally the one who checks me in- a different staff member was trying to check me in this time) found a room for us after making many calls and relocating other customers. She was very nice and thanked us for our patience whilst trying to locate a room for us. Won't use Agoda again, but will stay at Sleep Express again. 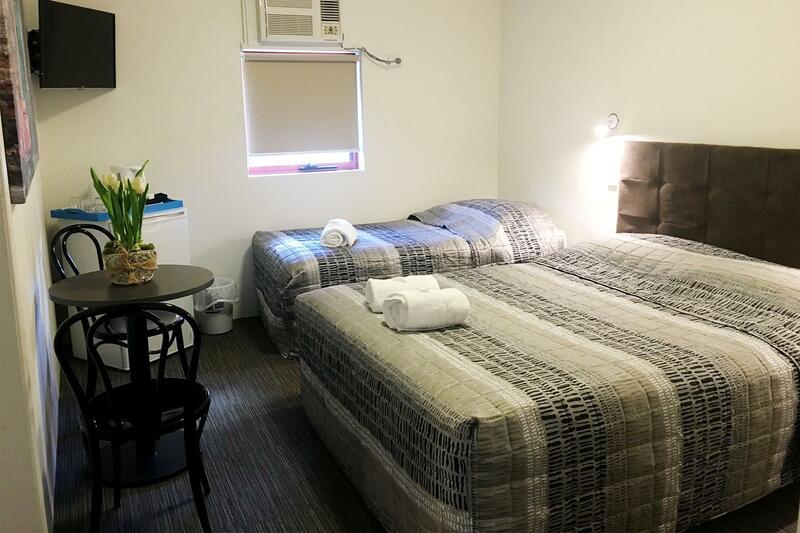 Budget accomodation reasonably close to Qudos Bank Arena Homebush to attend a concert, followed by shopping the next day at the DFO Homebush. There was no shuttle bus available. Receptionist indicated they needed a large number of guests to attend the concert before they would hire a minibus. An Uber cost us approx $25 each way- still a lot cheaper than staying in accomodation closer to venue. 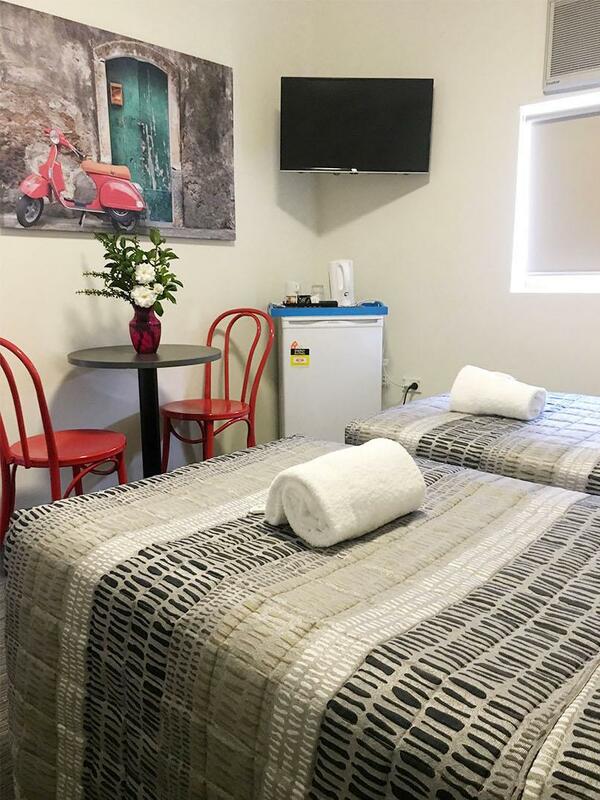 Clean and comfortable for budget accom. Dear Kathleen Thank you very much for reviewing the Sleep Express Motel. It makes me happy that we could offer an enjoyable stay. Best Regards. Staff was helful. Room was clean n the toilet too except toileteries as shampoo was not provided. 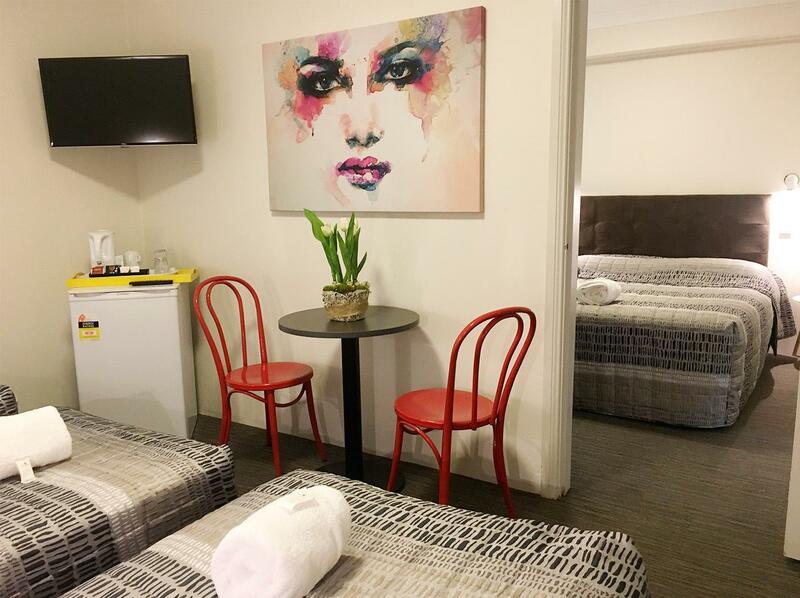 The hotel locations was great n convenient to go to locals shopping centre/outlet ie chullora maket place and Bankstown suburb such as Bankstown Central,Broadway Plaza,Little Saigon plaza good eating place especially for muslims. There are quite a number of mosque around that area. 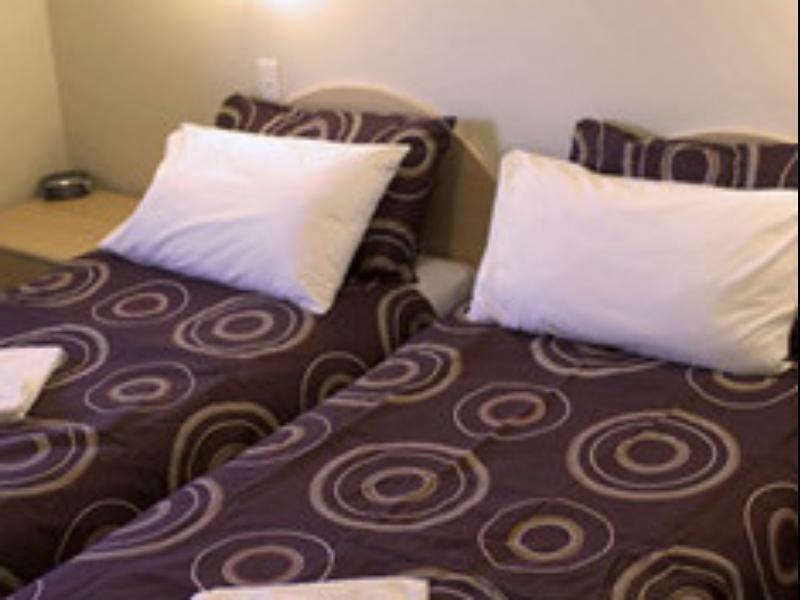 The Hotel is about 14km from the airport.Easy access to expressway M5. Parking are free available @rear and safe. Dear Mohd Thank you very much for reviewing the Sleep Express Motel. It makes me happy that we could offer an enjoyable stay. Best Regards. it's a very nice hotel, not in the located in heard of city but still acceptable to stay. will book here again if next time come to visit australia. 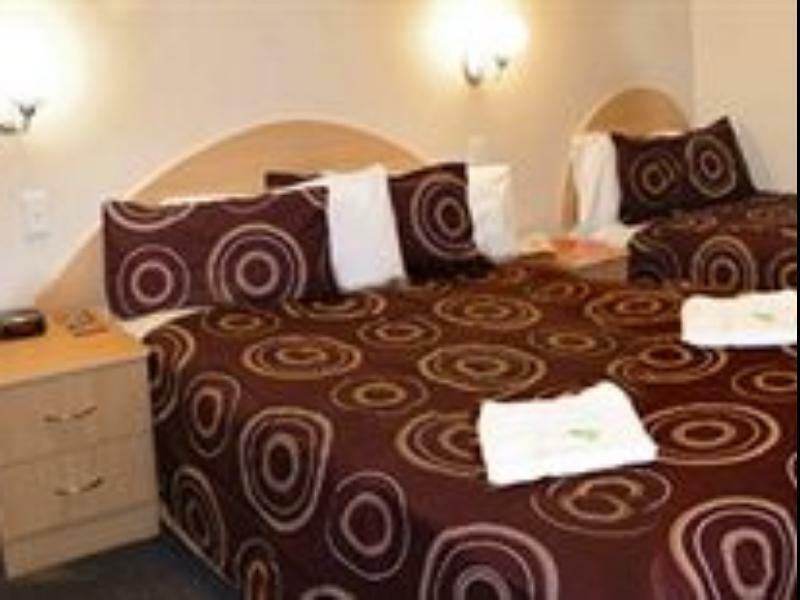 room is big and clean, very suitable for family fun, we are appreciate the time in stay! Budget and Basic. As it was next to a patrol station, it was convenient to get snacks and drinks any time of the day and night. Room was of decent size, without microwave oven, and had only a small bar fridge. Nevertheless, it had the bunk beds and a twin size bed as promised, so it can accommodate the 4 of us sufficiently for the only night that we stayed there. Food is readily available and there are many restaurants just 5 mins drive away. Woolworths supermarket is also nearby at abour 10 mins walk. 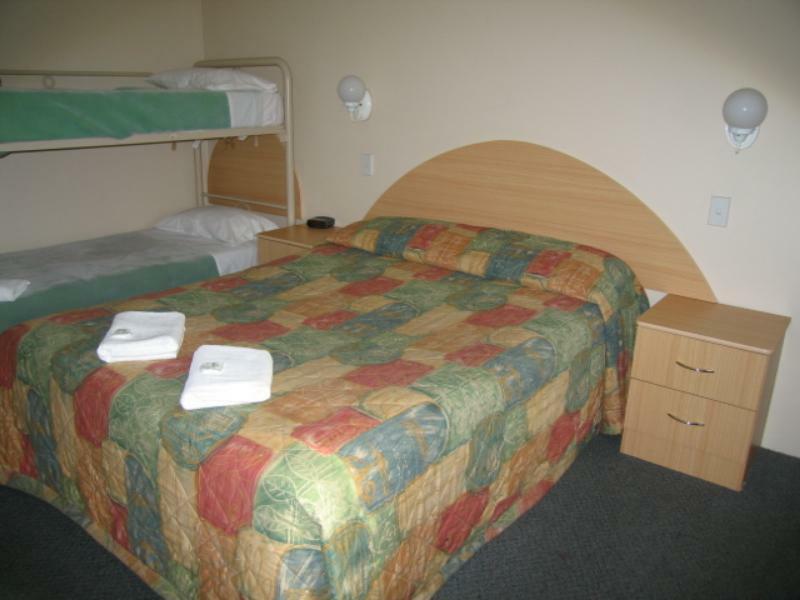 Considering the price, it was a value for money accommodation. Room size was sufficient for us. As we had 6 person in total, the 2 interconnecting rooms made communication much easier. One can also relax at the TV room at the reception where satellite TV was available. We watched soccer, tennis, etc and had a great time. very clean and quiet and within close range to most things. 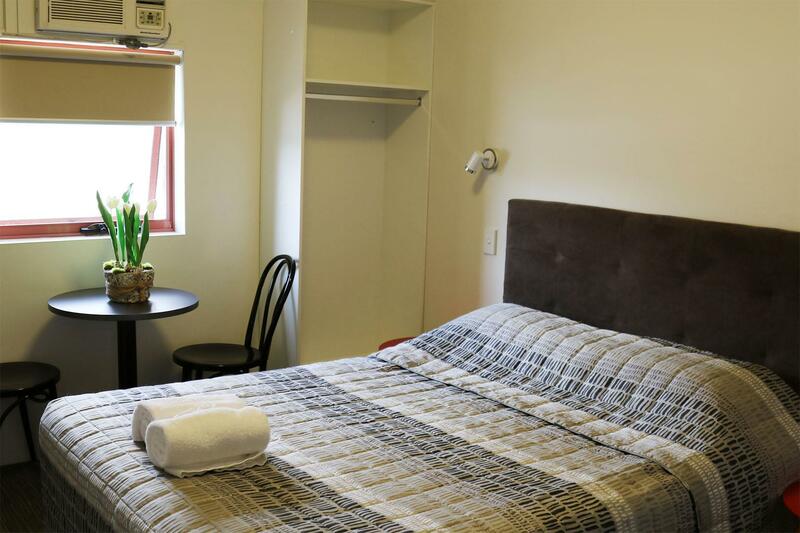 very affordable rates and we will most definitely stay there again when next in sydney. in fact our daughter is already booked in with you in february next year when she comes up for a concert. we were more than satisfied with the motel. 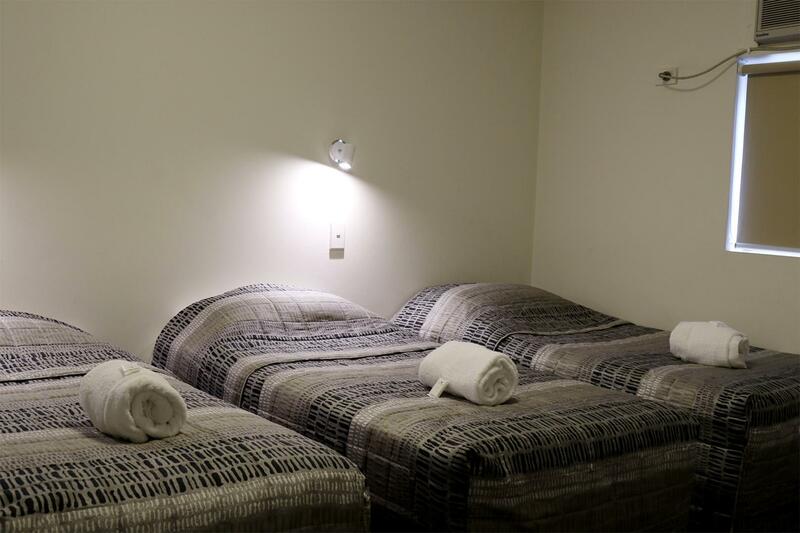 Clean rooms, bathroom gd size, BBQ facilities! we've have now stayed at sleep express several times. the staff are extremly helpful & friendly! there are pamphlets avail for things to do in the city. there is breakfast avail for a fraction of the cost. the bbq facilities are fantastic for a bite to eat before or after heading out. the rooms are fully contained, with tv, etc. beds are comfy! Nice and clean and good layout of building. Great parking. Good value Breakfast. Good value for money. Hotel was very clean and asethetically pleasing. Room was small but adequate. Breakfast was good value and ideal for children who could choose what they wanted. Parking was good and safe. All in all a good stay. The carpet in the hallway could do with being replaced as it's visually worn & stale smelling Perhaps a bigger tv, mini ones are hard to see. When we arrived considering the name of the place we were'nt really expecting too much. Though as soon as we arrived the staff asked if we wanted to booked on the shuttle bus to the concert which only cost $10, then gave us directions to our room. There was a wall TV, air conditioned room, modern-simple bathroom, mini bar fridge, table, wardrobe, comfy warm bed. BBQ out the back where guest went before & after concert, gave people to meet each other, chat & socialise. Some BBQ before the concert & some BBQ after the concert. There is also a group kitchen located on the lower floor. And a 24hr service station with sandwhiches, hot chicken, pizza rolls you can heat up. There is also a kettle, tea & coffee facility in your room. We slept like babies & befor we knew it, it was awake time at Sleep Express. Definately going there again & have told friends about it! For those of us who are on a budget this is without a doubt the best place to stay. The Manager there is very dedicated to his job and went above and beyond duty to help us with any and all things needed,all of their recommendations where fantastic. Between he and the ladys who work up front I felt like we had our own persnonal concierge. The rooms were very very clean. But most of all the beds were well made and comfortable.We had everything in the room that we needed for our 15 day stay.I felt safe there and loved seeing everyone at the gathering place in the back when we came in at night.It was such a friendly atmosphere. I would stay here over and over again. Good location with good connection to the city center. Every 40 mins. bus to Stratfield train station (5 minutes) and then 30 minutes to the city. Very hospitable staff. Rooms are renowated and clean. If I go to Sydney again I will definitely stay in this hotel again. Good place for people who use a car. I tried to move my booking to a different date due to the concert I was attending being postponed and they wouldn't agree to it. So I didn't get to stay there and if I started a new booking to stay with them I had to pay full price twice. It was out of my control and was hoping for a bit more understanding!! So now to see Pink I have to drive to Sydney go to the concert and drive back 10hours driving) in one day because I can't afford to pay for it again. Not Happy!! Dear Katherine We're sorry you were unhappy - we'll work hard to fix the issue you experienced. Thanks for letting us know.